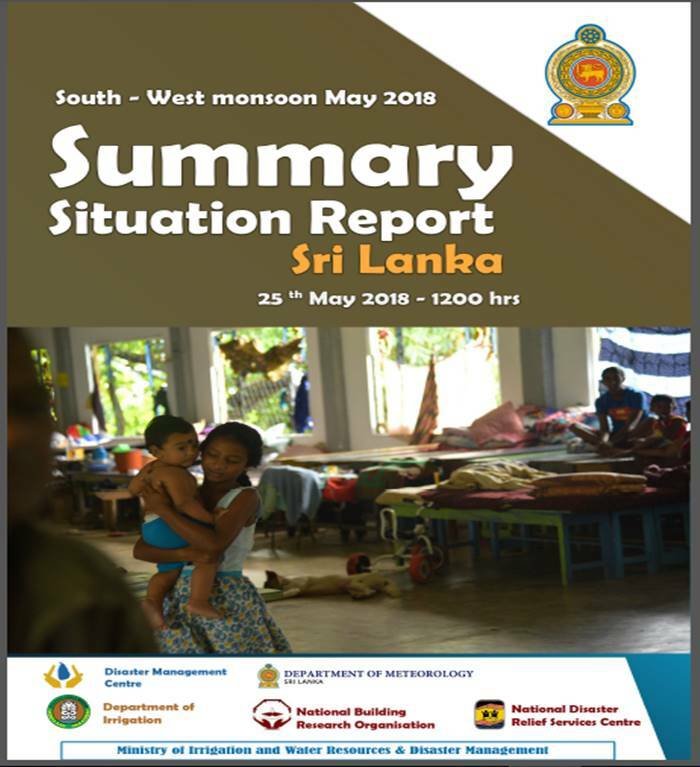 Heavy pre-monsoon rains in Sri Lanka continues from 20th May 2018, have killed at least thirteen people, and more than 100,000 people are affected in 19 District as of today. Flooding and subsequent potential landslide threat has forced the evacuation of people in low-lying areas where four main rivers have reached flood levels, while four districts were on "red alert" for possible landslides. Galle, Colombo and Kurunegala due to earthslips, cut failures and rock falls. South-west monsoon still suppressed by the persisting wind circulations running until September. 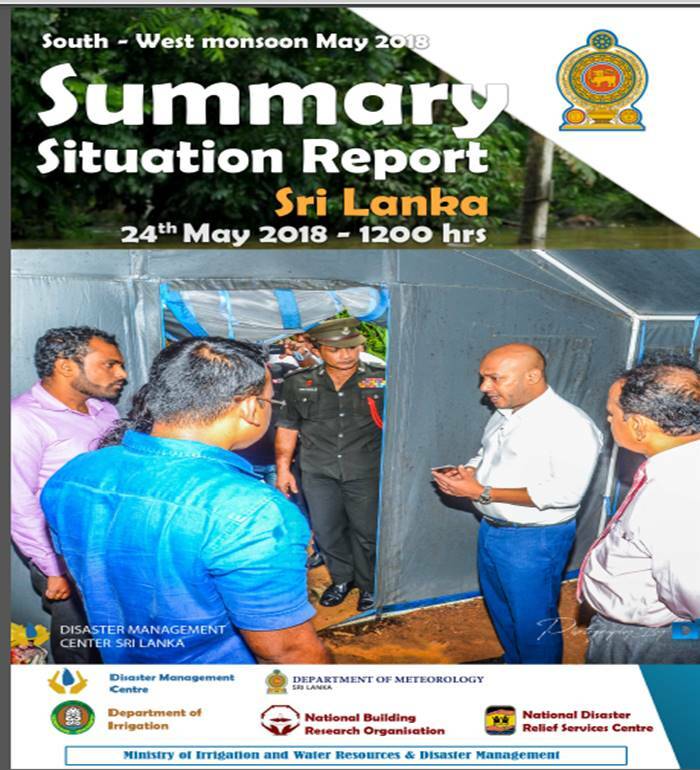 125,954 people (32,136 families) have been affected (the Disaster Situation Report , DMC & National Disaster Relief Services Centre (NDRSC) at 1000 hours on 24rd of May 2018). NDRSC has provided 24.9 million cash allocations to the 12 District Secretaries to address the immediate needs of the affected populations. River water levels at many stations are gradually decreasing, in Kelani, Nilwala, Gin, Malwathu-oya, Maha-Oya rivers and some areas of Kalu river shows flood levels as of 24th May. 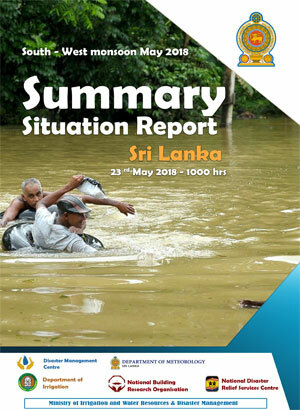 A heavy rainfall was received across several parts of Sri Lanka between 20 and 21 May 2018, caused heavy rains and flash floods mainly in twelve districts, including Southern,Western, North-Western and Sabaragamuwa Provinces. Early-warning reached to the affected people and evacuations were done covering the people who are at risk . Search & rescue teams were pre-positioned and boats were kept as ready to launch in the affected districts. 557 military and police officials were mobilized immediately for search and rescue operations while 5,826 military and police personnel have been organized as stand-by teams for immediate deployment. 84,943 people (18,542 families) have been affected (the Disaster Situation Report , DMC & National Disaster Relief Services Centre (NDRSC) at 1000 hours on 23rd of May 2018).NDRSC has provided 14.7 million cash allocations to the 12 District Secretaries to address the immediate needs of the affected populations. As per the immediate rapid impact analysis estimates, 23,000 people need emergency flood relief and early recovery assistance. River water levels at many stations are gradually decreasing, as the rainfall recorded in the catchments during the last 24 hours ending 0830 hours is lower compared to the rainfall received in 20th and 21st May 2018.